Hunting for whitetail deer is one of the most popular types of hunts in Texas and across the country, so I’ve put together some Whitetail Deer Hunting Tips for y’all. Ninety-seven percent of the land in Texas is privately owned, so if you don’t own or lease property you can hunt on, it can be almost impossible to find a good place to go whitetail deer hunting in Texas. Not everyone has the time or money to spend on a lease, or if you’re an out of state hunter looking to hunt the monster bucks Texas is famous for, guided hunts are a great option. Before you choose just any company for a Texas whitetail hunt, here are some things to look for to help you choose the best outfitter for a hunt. An experienced outfitter is one of the most critical aspects of successful whitetail deer hunts. How long has the outfitter been in business and what’s his success rate? How long has the outfitter been hunting the ranch where you will be hunting and how many hunters does he typically have hunting that particular ranch each year? Ask for references. Any good outfitter should happily provide you several references whom you can call and talk to about their hunt and ask when they hunted with him. If their hunt was five years ago, things may have changed. It’s ok to initiate contact with potential outfitters, but call them and talk to them before you book a hunt with them. In this day and age of technology, if your outfitter doesn’t return calls or emails in a timely manner, he may not be the person you want to hunt with. These are all very important factors that play a key role in the success of your guided hunt. You need to know your outfitter has been in business long enough to run a quality operation, isn’t overhunting his ranch(es) and you feel comfortable spending all day with him for the duration of your hunt. Whitetail Deer Hunting Tips – What Does the Hunt Include? Some guided Texas whitetail hunts give you access to the ranch, provide meals and lodging and then leave you to complete the hunt on your own. While some hunters find this suitable, there’s no way you can manage a ranch to produce the whitetail Texas is famous for if your hunt isn’t fully guided. A fully guided hunt should include all meals, lodging, and an experienced guide with you at all times while hunting. This will greatly increase your success and help ensure you’ll have the best experience while on your hunt and see the most game. What are the accommodations like? Will you be staying on the ranch or will you have to drive back and forth from the lodge to the ranch? Are you staying in tents or travel trailers with generators or are you staying in a nice, clean house with electricity, heat and AC and running water?. Not all whitetail hunts will have five star accommodations with a gourmet chef, although some will, but you should at least have a nice clean house on the ranch, with electricity and running water, as well as heat and AC. A good, guided whitetail hunt will allow you to dictate the size of your group. Whether you want to hunt by yourself, with a spouse or child, with a couple of your closest friends or with a larger group, the guided hunt you choose should be able to accommodate you. You probably don’t want to take your daughter or wife on a hunt where you will be in camp with a bunch of guys you’ve never met so it’s best to ask if you have exclusive rights to the ranch and lodging for the duration of your hunt. 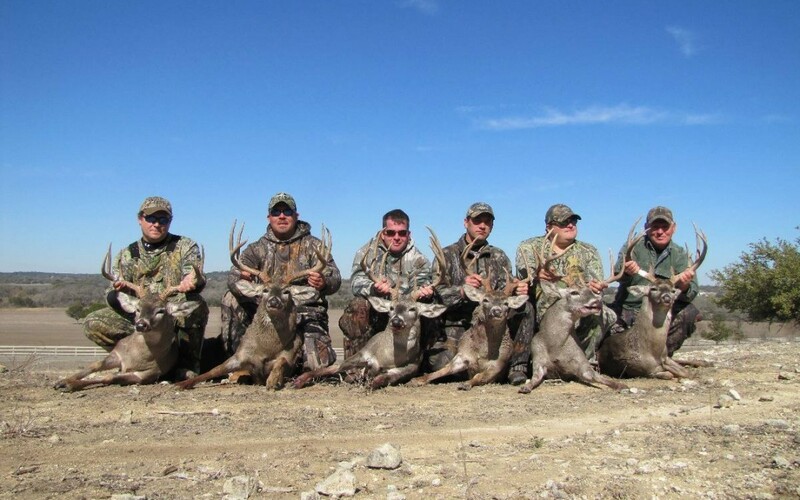 Many guided hunts will take smaller groups and combine them. Unfortunately, you never know how personalities mesh with each other. However, you can find guided hunts that will take you and your group alone, regardless of the size of your group. 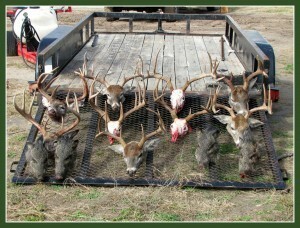 A lot of ranches in Texas have started raising pen deer. These deer have ear tags or tattoos just like cattle. They will raise these deer in breeder pens, and when they reach three years old and have a huge set of antlers on their head, they turn them out into the pasture for you to hunt. Other ranches are hunting native Texas whitetail and managing the deer herd to produce quality bucks that don’t have ear tags, ear tag holes or tattoos in their mouth or ears. On these ranches, you are only shooting mature Texas whitetail that are typically five years or older and were born and raised in their native habitat. You typically pay less for a pen raised whitetail, but it will have an ear tag, ear tag hole or a tattoo. With all the pen raised deer out there, it’s definitely worth asking your outfitter if you will be hunting native, mature Texas whitetail or if you will be hunting a ranch filled with deer with ear tags. 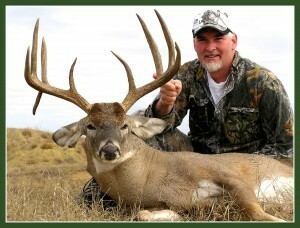 Before you book your Texas whitetail hunt, or any hunt for that matter, spend some time and do your research. Look for an outfitter who has the experience necessary, a large enough ranch or several different ranches so you can avoid over hunting, has a 100 percent success rate (or close to it as it is hunting and things do happen from time to time), with a good reputation and with whom you feel comfortable. When you find an outfitter who fits all these criteria, you can be sure of a fun, successful hunt! If you want to learn more about what a Whitetail Deer Hunt is like with me, read some of the Whitetail hunt recaps here or contact me to speak with me directly!